A building insurance policy will cover the cost of repairing damage or rebuilding your home if an unfortunate event were to occur. The policy will cover your home’s structure and will usually cover damage to fixtures and fittings such as windows, doors, ceilings, baths, basins, toilets, fitted kitchens and bathrooms. Outside buildings may also be covered by a policy such as, garages, greenhouses, summer houses and sheds. Also other structures such as, driveways, paths, walls, fences and gates. You will need buildings insurance if you are the homeowner. Normally this is included as a condition of the your mortgage. 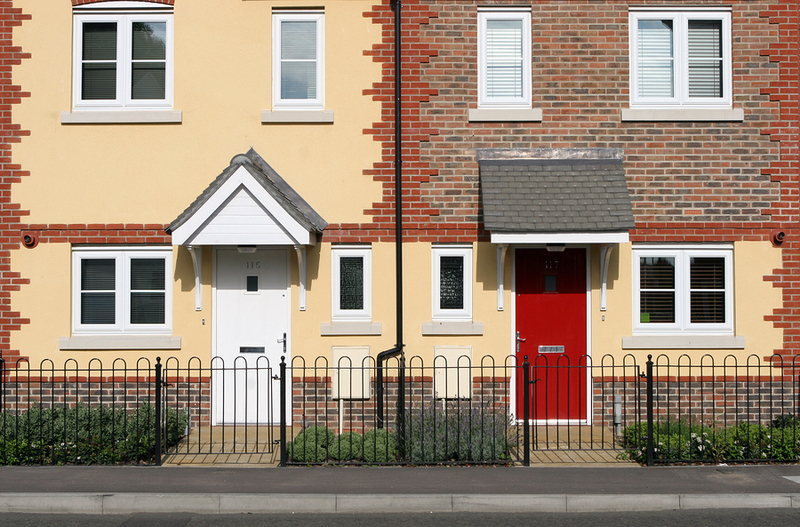 If you are renting your home then it’s up to the landlord to arrange the buildings insurance. However, as the tenant, it’s up to you to arrange your own contents insurance. Sum insured insurance – This is amount of cover you need for buildings insurance is the rebuild value of your home. This is not the market value but the cost of completely rebuilding your home from scratch. This is called the sum insured. If you are not sure of the rebuild value of your home you should use the services of a chartered surveyor to calculate the sum insured for you. The advantage of this policy is that you only pay the the amount of cover you need. However the process is long and complicated. Bedroom-rated insurance – Rather then leaving it to the homeowner calculate the rebuild value of the property the insurer will estimate the rebuild cost based on the number of the bedrooms. The advantage of this policy is that you don’t need to worry about being adequately covered, however you maybe paying for more cover than you need. Indexed-linked sum insured – This will update the amount of cover the reflect the rising cost of rebuilding your home. Buildings excess – This is the amount you’l have to make towards a claim. An insurer will often let you choose how much excess you want to pay. The more you Agree to pay more the lower your premium will be. Alternative accommodation – This will cover the cost of staying somewhere, like a hotel or a rented house, whilst your home is being repaired or rebuilt following major damage such as a fire or flood. Public liability – Covers the costs of being sued in the case that someone has an accident on your property. Glass & sanitary ware breakage – Provides cover for accidental damage for broken glass in windows, doors and skylights along with damage to baths, basins or toilets. Underground services – Basic cover for accidental damage to underground pipes that bring gas, water and electricity to your hame and take sewage away form your home. Home emergency service – A policy may include cover if you need to to call out, for example, an electrician, plumber or heating engineer in an emergency. If not included it may be offered as an optional extra. Blockage of sewer pipe – Will cover the cost of unblocking a sewage pipe. Blockages caused by a collapsing pipe of damage to a pipe by tree roots may not be covered. Escape of water – This will cover you against damage from a burst water pipe or leaking water tank. Old and corroded pipes are unlikely to be covered. Tracing and accessing a leak – Will cover the cost of locating a leak within your home or underground. It’s likely that the cost of repairing a leaking pipe will not be covered. Empty property – This is for how long you can leave the property unoccupied without having to notify the insurer, for example, if your away on a long holiday. This period of time is normally 30 consecutive days. Emergency helpline – Your insurer will provide you with an emergency number to call in the event of damage which needs to be taken care of as quickly as possible. Usually you will have to pay the tradesman and then claim back from your insurer. Accidental damage cover – Covers you against any accidents that cause damage to your home. Damage caused by pets, tradesmen or builders is unlikely to be covered. Loss or theft of keys cover – If your keys are stolen or lost the your insurer will pay for new locks to be fitted. Legal expenses cover – Provides cover for any personal legal expenses for any problems you have, like disputes and injury claims. The insurer is unlikely to pay for any legal costs they’ve not agreed to in advance. And, they will only proceed with a claim if they believe it will be successful. Any legal expenses claim will be controlled by the insurer’s lawyer. Legal helpline service – A helpline to call for advice if you have a legal problem. May not be offered unless you have opted for legal expenses cover. Repairs guarantee – A guarantee for any repairs are carried out on your property. The guarantee usually lasts for one year and the repair work must be arranged by the insurer. No claims discount – You may be entitled to a discount if you’ve not made a claim for some time.